The fear of theft and hacking remains one of the issues keeping many people from trying to invest in cryptocurrencies. And recent research indicates that those people have every reason to remain fearful. Lat year an estimated $1.7 billion worth of cryptocurrencies were stolen from their owners, mostly from cryptocurrency exchanges. Total market capitalization of cryptocurrencies peaked last year at nearly $800 billion but now sits at a little over $100 billion. Depending on when those cryptocurrencies were stolen and how much they’re worth now, that could be a relatively sizable percentage of cryptocurrencies that were stolen last year. What’s particularly troubling is that over $1 billion of the cryptocurrencies stolen were stolen by just two hacking groups. 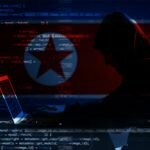 The two groups were named by researchers Group Alpha and Group Beta, and it’s certainly possible that one of them was a state actor such as North Korea. Some of the money stolen was laundered through up to 15,000 transactions before it was cashed out, as the hackers were looking for cash, not looking to hold cryptocurrencies. This underscores the importance of not holding your cryptocurrency investments in online wallets at cryptocurrency exchanges. There’s no real advantage to an online wallet over an offline wallet, and online wallets are far less secure. 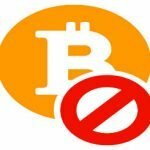 That’s why Bitcoin IRA custodians protect investors by keeping investments offline in cold storage. 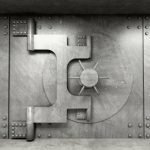 They can even go so far as to keep your offline wallet protected in a vault, guaranteeing that your Bitcoin assets are protected not just from online hacking but also from physical theft. 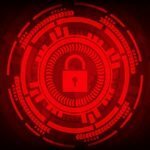 With so many criminal groups targeting cryptocurrency holdings, the inability to undo many of those thefts, and the ease of laundering those funds, hacking is a great threat to cryptocurrency investors. That’s why investing in a Bitcoin IRA is superior from a security perspective than trying to go it alone. You get all the benefits of Bitcoin’s growth potential with the additional security that you can only get from an experienced custodian. You don’t have to worry about hackers stealing your investments because it just won’t happen. « Will the Coup in Venezuela Render the Petro Stillborn?